Home » Digital PTO Offers Tons of Features » Which Plan is Right for Your Group? Digital PTO offers 6 different plans to meet the needs of as many Parent Groups as possible. Below is a quick summary of each plan and who it’s best for. The Free Plan is perfect for groups that have not quite decided how committed they want to be to an online presence and want to try it out first and the Free Plan is also perfect for Parent Groups that do not have the funds available to pay for a Premium Plan website. The Free Plan offers unlimited News Posts, up to 10 Informational Pages, a robust Events Calendar, 20mb of upload storage space and over 40 different theme variations. The Free Plan is supported by limited (and screened) 3rd Party Advertisements. 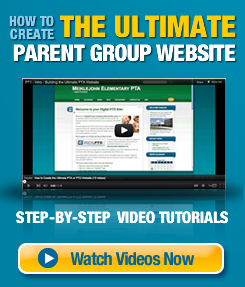 The Starter Plan is the perfect way to expand your Parent Groups website. Unlimited News Posts and Informational Pages, a robust Events Calendar and expanded storage space (50mb), the Starter Plan is perfect for groups that don’t need or want all the bells and whistles but also do not want to be limited in any way with publishing. The Starter Plan has NO 3rd Party Advertising. The Basic Plan is perfect for Parent Groups that want access to additional themes, custom domain names and the robust Events Calendar. The Basic Plan is perfect for groups that want to take their website seriously, but don’t need the additional features like forms and payment processing. Parent Groups that jump up to the Premium Plan are typically looking for a real solution to their current communication problems. This plan is designed for groups that want to really embrace technology and offer features to their community like Online Family Registration Forms, Online Volunteer Forms, Advanced Events Calendars and Premium Themes. The Premium Plan comes with a ton of upload storage space (500mb!) so we encourage our Parent Groups to be creative and upload images, documents and more to their websites. All data that Premium Plan Parent Groups collect on registration forms can be downloaded (and searched!) in bulk for use in making class lists, Parent Group Phone Directories and more. The Premium Plan also offers Automatic Email Blast options that will automatically send perfectly formatted emails to your community (based on your preferences) when you add new news to your website. The Premium Plus Paypal Plan allows groups to collect payments on any form within their website and process those payments online through Paypal. Collect Family Registration Dues, Sell Carnival tickets, Make donations and more, all with the Paypal enabled features built into our robust form system. Groups can collect One-Time payments or Subscription (Recurring) Payments with the built in Paypal enabled forms. The Premium Plus plans offer all of the benefits of a Premium Plan, plus they receive 1000mb (a full GIG) of upload storage space. The Premium Plus Plan also offers Automatic Email Blast options that will automatically send perfectly formatted emails to your community (based on your preferences) when you add new news to your website. If your Parent Group is looking for the ultimate online PTA or PTO website solution, the Premium Plus Plans are a perfect match. Both of our Premium Plus Plans offer the exact same level of functionality and features except for the method of payment collection and processing. The Premium Plus Credit Cards Plans allow groups to collect payments on any form within their website and process those payments without having to use the Paypal gateway. Payments are collected directly online, just like they are at large online merchants. Collect Family Registration Dues, Sell Carnival tickets, Make donations and more, all with the credit card enabled features built into our robust form system. The Premium Plus Credit Cards Plan uses a secure form system in order to comply with the strictest of security standards for direct (on your website) payments.